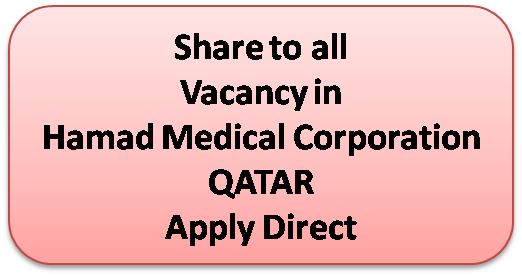 Hamad Medical corporation announced a vacancy with job title of OPD Administrator in location of Doha,Qatar, under the Administrative Services. The job description, education and all other details are of very interesting type. Even nurses can easily grab it, if they can perform well in the interview. Its really a great opportunity to work in this amazing organisation. Please find here all details about this job, and then apply directly to them through online. Preferred: Bachelor of Business Administration, Bachelor degree in Business Administration may be substituted by administration experience. How to apply: Please find the link in the first paragraph given above here and read all details. Then please apply directly. The email to apply direct is also given in that page.